When my editor and I were talking about having my book sold on Amazon, I told him it would get blasted with horrible reviews since there are some who hate me and what I teach. He wasn’t worried about it and thought it would simply bring more traffic to my book. Well, yesterday I saw that sure enough, they were posting nasty reviews about me and my blog, not even my book! (I have no idea why Amazon allows comments from those who haven’t read the book. ) They are the same people who have maligned me since I began blogging almost six years ago and they repeat the same false accusations over and over again. They have sites dedicated to slandering me. They follow me even when I comment on another’s blog and attack me there. They seem to know every detail of my life because they know details from every comment I have ever written on my blog. They have nothing better to do with their time than to cyber stalk and speak evil of others. I went to the women in the chat room and asked them to write reviews for me about what they know about me and what I teach. Some of them happily did this for me. (If any of you would like to do this for me, I would appreciate it very much.) I know, without a doubt, that this is a spiritual battle. An hour later or so, my youngest daughter called me and told me she saw the bad reviews and even commented on one who wrote this, “If one reads Mrs. Alexander’s original blog ‘Always Learning’ you will see where she has advocated what can only be described as child abuse to her children and grandchildren. Smacking a little one over and over for hours to pick up raisins?” This is the same typical false accusation made at me over and over again. We are in a battle, women. People hate the Truth and they always have. If they hated Jesus, they will hate all those who love the Lord and speak His Truth. This is a given but we have nothing to fear for greater is He in us than he who is in the world. We know how it is all going to end so we pray for those who are lost and even those who are evil. I keep this verse printed on a page in my Bible, “But love ye your enemies and do good, and lend, hoping for nothing again: and your reward shall be great, and ye shall be the children of the Highest: for he is kind unto the unthankful and to the evil. Be ye merciful, as your Father also is merciful” (Luke 6:35). Therefore, we must continue to be kind to all in hopes of them seeing and wanting Jesus who lives in us. I asked my chat room this the other day, “Do the people who are friends on your Facebook page know you are a believer in Jesus Christ? I see way too many Christians posting about all the fun they are having without ever mentioning the Lord. It makes it look like they are seekers of pleasure and not seekers of God. The world is watching us, women. What does it see that you value in your life?” I pray that none of you are ever ashamed of the Gospel of Christ and His ways and others know that you are a seeker of God whatever it costs you. unto salvation to every one that believes. I am confused. They aren’t reading the book and commenting about it, but rather just spouting hate. Can’t they be reported? We did reported it yesterday but nothing has happened. Amazon must not care much about this issue. It would be so easy to fix; one must buy the book before being able to review it but they don’t require this, unfortunately. Do not pay much attention to these comments, many of today’s woman, myself included try to raise our daughters to be “traditional”, and embrace traditional roles, in-spite of the message outside our homes. Why? Well, all one has to do is look at today’s culture and the negative influence it has had on marriage, and the emotional/spiritual well being of men, women and children. The brainwashing (schools, colleges) with their message of “you can have it, and be all” has done a great job on twisting what we were created to do, and we wonder why there are so many who are unsatisfied, and have children who yearn for their parents attention. 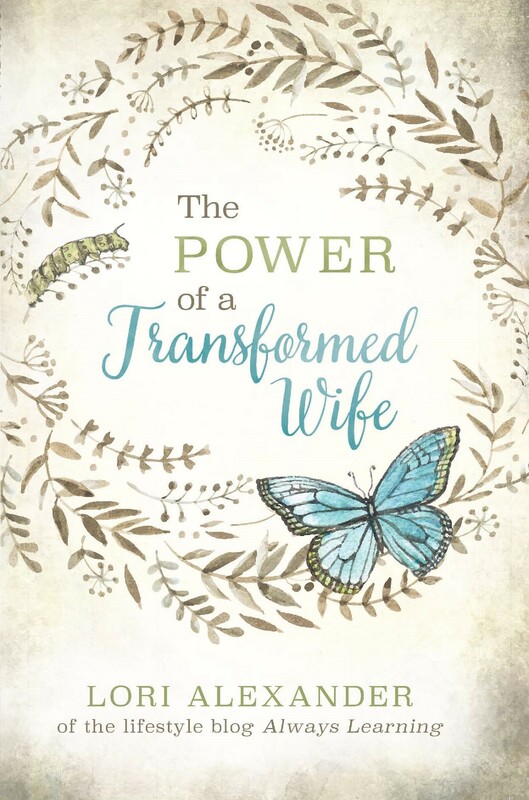 It takes a special God fearing, strong, creative and secure in her own skin woman with a servants heart to be a full-time stay at home mom and help-meet to her husband, no PhD needed here just a loving heart for serving our families. Amen, Conny! Living according to the Word of God is the narrow path but by far, the best and only path a believer in Jesus Christ should take. Satan is on the prowl and he knows his time is short, therefore we need to do everything we can to point others to Christ, for He alone is worthy. Stay strong in the Lord and your message that is reaching into the hearts and minds of so many women to allow them to have great marriages done God’s way. The hundreds of wives who thank you for your ministry and the results they are having doing things God’s ways, must drown out the few miserable detractors, many of them suffering because they wish they had a life to live over again to get their failures straight. Thank you for your continually encouragement and prayers. I could never do what I do without your support behind me. I am blessed because of having you in my life! 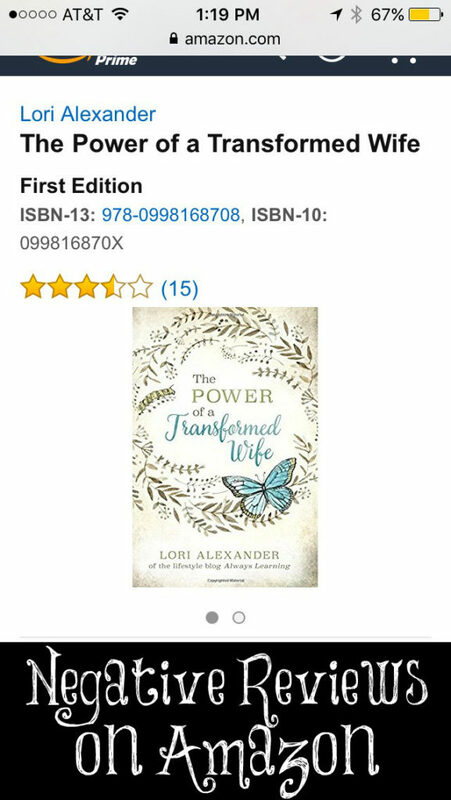 I am one of those women who has been so positively influenced by your writings, Lori. I especially appreciated this Scripture passage, Ken. I needed it today. Thank you, Kelley! Yes, I love that verse. You just keep on keepin on Lori! I am sure it must be frustrating and disheartening at times, but just think, the fact that people “stalk” you across the internet just proves they feel threatened by you! The truth hurts, and those people wouldn’t bother to spend their time doing that if they weren’t worried about other people actually listening to you! It is disheartening at time, Mrs. M, but I snap out of it very quickly when I renew my mind with God’s Truth like the verse you quoted. Thank you for your kind words! Lori, I will admit, I don’t always agree with everything you write. However, questioning or discussing, or even respectfully disagreeing can and should all be done in love. I personally enjoy reading others with whom I don’t necessarily agree. I helps me to grow and learn and think. But when I see the malicious attacking with the intention to destroy, whether against you are any other online writer, regardless of whether I agree with them or not, I give it no credence. Such people discredit themselves by their unloving attitude and clearly unkind motives. I hope you too with give it no credence. Putting yourself out there in print does invite everyone to have an opinion. That doesn’t mean you have to give any energy to those opinions, and I dare say that unless someone is respectfully asking a question or raising a concern with the intention to learn and grow, JUST IGNORE THEM. Don’t defend, don’t give credence– just carry on. I am sorry for the unkindness. It is unfortunate that we live in a culture that seems to have forgotten how to respectfully disagree. This is how I decide what comments to put on my blog, Shawna. I never mind genuine questions but if the intention is to be mean, I don’t publish them. It is sad how divided our culture is today, but it is to be expected given that people are falling farther and farther away from the Lord’s principles. People are very sad individuals if they get pleasure out of doing this, but I ask myself as has been asked before, who is the most happy in their marriage?. Godly behaviour ‘offends’ doesn’t it?. But we know unmeasured joy and blessings from walking the narrow way. I always love and appreciate your encouragement. Thank you, Helen! Lori, will you be getting this into a Kindle addition or releasing it on other online booksellers websites? I cannot buy from Amazon in South Africa and would love to read it. Yes, it should be in kindle version very soon! Ken’s advice/comment is right on. I too am looking forward to reading your book. Blessings to you Lori as you continue serving our Lord in the manner he is leading you. Your blog is the only one I read where I actually read the comments. Because I know that you do not allow nasty comments to remain here. I get so tired of negativity. My husband and I were discussing an Amazon order last night and he commented that there were negative reviews. We then had a discussion about how people are paid to post negative or positive reviews for different products and books. I don’t watch the news or things like that often because it is so negative. Keep doing your thing, speaking the truth, and remember that everyone has people who react negatively. Remember how Jesus was treated by so many…and still is. Without the Truth, there is nothing. I sure do remember this, Kathy. They hated Him so they will hate all who love Him and speak His Truth. There is so much negativity today and this is why we are told to dwell on the good and the lovely, since the ugly can get us down and take us away from what the Lord has called us to do. Hi Lori–I’m really sorry you have to deal with this. Obviously every writer gets some negative reviews from readers—but people making personal attacks just to try to hurt you–that is totally different, and so wrong. I do have a suggestion, and obviously you can take it or leave it. 😉 If I were you I would not respond, defend or interact in the comments. To be honest, I have never seen an author do so before, and I think it will strike many people as unprofessional. In addition, responding gives the haters what they want, and adds fuel to their fire. It also creates the possibility for your words to be misinterpreted or misquoted. People who don’t know you may take your words the wrong way and seen you as argumentative or snippy. Allowing yourself to be put on the defense like that is just not good in the long run. ? I think if you rise above and stay out of it, it’s easier for prospective readers to see and recognize the trolls for what they are. I know that when I read reviews I usually discount the really negative ones as coming from wackos or people with an axe to grind. Anyway, I will pray for God to give people who are thinking about buying your book the clarity to see the truth about what to believe when reading the reviews. Hang in there!!! My editor who has edited over a hundred books told me to comment on some of them so I did. I’ve never written a book so I don’t know the proper protocol for it but I enjoyed commenting. If it turns people away from buying my book, so be it. But thank you for the encouragement! I do appreciate it. I just remind myself what Satan meant for evil, God can use for good and other encouraging words from the Lord and other believers, like you. Blessings! I look forward to buying this book, and someday passing it on to my daughters. You’ve been a real blessing to my marriage, and many more. May the Lord encourage you today. I believe you are “greatly loved” just like Daniel. i have a question in regards to the last paragraph of this post. what do you think of people who live their life in a good, honest way and are pro-active towards helping others but do not ever speak about God or any religious topics at all? i ask because i got the impression from the last paragraph that you believe that unless you talk about God and do your best to convert others to the ways of a Christian God that the life you are living isnt as good as people who do. did i misunderstand that or is that your belief? We are told in the Bible to let our light shine before men, EJ, for the light exposes the darkness. Yes, we need to share Jesus with as many people as we can because He is the only way to eternal life. I can tell you from personal experience, Amazon will not remove the reviews. Unfortunately, one does have to have actually read any part of the book, in order to review it on Amazon. Unless the review has personal attacks, Amazon will allow it to stay. It’s very sad. So awesome to see this book! I ordered my copy yesterday, now just waiting for it to arrive! Thank you, KK. So far, they haven’t removed reviews with personal attacks, as far as I know, since I am no longer looking at them. I want to dwell on the lovely and the good. If they are meant to sell, they will and if not, they won’t. I trust the Lord in this! This is the way you know, Lori, that YOU are RIGHT OVER THE TARGET. Persevere on in the name of the Lord! Blessings. Thank you, Dave. I will continue to persevere. Nothing and no one will ever take away my love for Jesus. I’m so thankful for all your wonderful encouragement in the Lord you have given me.I know words hurt especially viscous words. I will keep you in prayer. I’m so thankful that you have a good strong husband who I know helps you in so many ways. I also know one day when you stand before our Jesus He will say well done good and faithful servant.May the Lord bless you as you speak His truth. I can’t wait to read your book. I’m so excited.? As Phil 4:8 says: dwell on what is true, honest, just, pure, lovely… Don’t dwell on these comments for they meet none of those aspects. Comments to my our blogs or Facebook MAY be worthwhile responding to or commenting on but there is a time to answer a fool and a time not to. YOU are doing well Lori. Keep humble in the Lord and faithfulness to Him will remain! Wow, Lori! I know I shouldn’t be, but it still takes me by surprise how much hatred people have, how much time they spend gossiping about others, and literally going out of their way during their limited time in a day to try to destroy your reputation. I’ve been away from being online for awhile and just focusing on school for my boys. I love your new blog and the name change, it’s beautiful! I’m going to check out your book, and I’ll be praying for you specifically in all this. And just wanted to add, April’s gotten very bad reviews on her book as well, it’s very frustrating and discouraging for Christian authors who write on submission. Again, I’ll be praying for you for strength and courage and grace to get through this. I remember reading about the preachers throughout the ages… many were mocked and despised much in the same way I see the stalkers doing to you. The Wesley brothers had TONS of slander and Christians who tried to ruin their reputations, it’s very encouraging to see how they pushed through it and it passed in time. They ended up being remembered, successful, and are still read today and left the Methodist movement. Their critics (really slanderers) were completely forgotten and accomplished close to nothing of lasting value. Thank you for your encouragement. I do appreciate it since teaching what I teach isn’t easy in this feminists, anti-God culture.